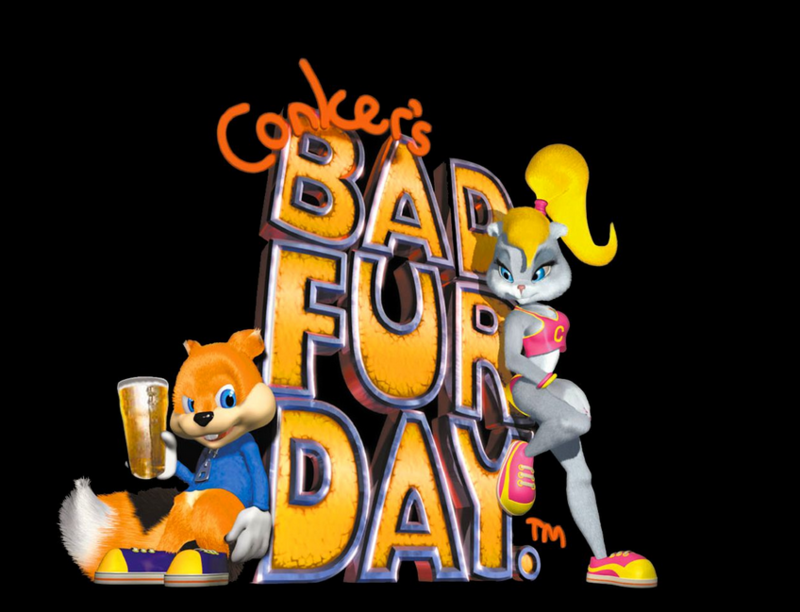 Conker's Bad Fur Day was probably the N64's most unusual video game. Created by Rare, it looked like your typical Nintendo game -- bright colours complete with big-eyed anthropomorphic animals. But in reality, it was rude, violent, and with segments that probably wouldn't get through the censors today. It was released right near the end of the N64's life so didn't sell in huge quantities, but it garnered a cult following and its lead character is still frequently used in merchandise. The game was masterminded by Chris Seavor, who went on to work at Rare for several more years before going it alone with friend and former Conker teammate, Shawn Pile. The two together set up the studio Gory Detail. Seavor is a bit of a name amongst Conker fans, which, yes, includes me. I've followed his post-Conker projects with interest. Which is why it was surprising when I found out that he and Pile released their latest game -- The Unlikely Legend of Rusty Pup -- weeks ago. "We launched it with very little fanfare... or the most we can get with a marketing budget of 5p," Seavor admits. "I'm most comfortable tinkering with gameplay. When it comes to actually trying to sell it, it's a nightmare. I just don't enjoy it. I dread it, actually. It is much easier to make a game than to sell one, at least as far as I can tell." He continues: "It's hard to get people's eyes on stuff. We got a mailing list for magazines and websites, because we wanted to get some reviews. I just want someone to look at the game... good or bad, I'd rather have bad reviews than no reviews. So we sent out all these codes. Well Shawn did, I'm not actually allowed to interact with people [laughs]. We sent out nearly 80. And aside from Out Of Office responses, we didn't get a single 'thanks for that, we'll have a look'. We did get two in the end. We had yourself and Wesley from Eurogamer. But otherwise, we didn't get a single response. It's kind-of irksome, but I suspect journalists get these things all the time." "It is much easier to make a game than to sell one, at least as far as I can tell." And, I suggested, the media is busy with all the big AAA games coming to market. "Yeah, we neglected to notice that Red Dead was out the same week [laughs]. But we're not really competing with them. There's no ideal time to release a game. Christmas is horrible because all of the big sellers are out, and then you have Black Friday, then you have Easter... it's hard to find that magic slot." Rusty Pup is a different game to anything Seavor has done before. It looks like a 2D action platformer, but you don't actually control the main character. Instead, you have to manipulate the environment in-order to get Rusty through each level. It's been in development for over four years. In fact, three years ago I spoke to Seavor about the project and he said that he hoped it would be out within a year. So what happened? "We were originally going to be a little mobile game, and then we thought: 'Oh, we can do this and that'. So we expanded our engine quite a lot," he explains. "We just kept making it and making it. We have been working hard the whole time, it's just we had to develop it all ourselves. But we have a solid engine now and we can hit the ground running with the next game." Oh yes, the next game. Seavor may be currently promoting Rusty Pup on PC (whilst also working on versions for iPad and Nintendo Switch), but he's clearly most excited about getting past this stage and onto the next thing. "I've had this idea for a while," he begins. "I don't know if you remember this prototype that we did called Urchin at Rare? It was a dark fantasy game with a female protagonist. We started work on it shortly after Conker. But it got abandoned as we started on a new Perfect Dark. 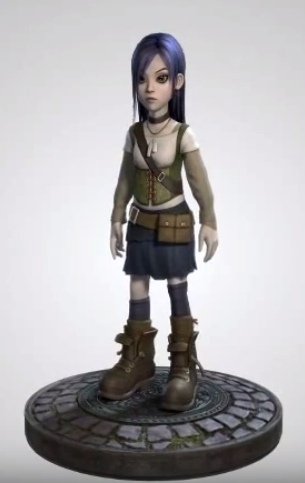 I always wanted to do a game like Urchin. A lot of people ask me about it, because they think it sounded great. And I agree." "With Yooka-Laylee, [Playtonic's] idea for a spiritual successor was very literal, which was fine. But I think I could do something that is Conker in essence, but is actually something completely new. I've worked something out that people would see and think 'I can see Conker'. There will be little characters that are a bit bizarre, with cartoon violence... comedy, but a lot darker. We'll do movie parodies, but we'll focus on horror films. It will have all these Conker-like elements, but don't expect an anthropomorphic squirrel, or cute visuals. People might see it and go 'that's not Conker', but I think they'll get what I'm doing." Seavor says he hasn't had to massively adapt his original 'dark fantasy' plan, either. "I've got quite a lot of the work done in terms of preparing for the dark fantasy game," he says. "But I can actually adapt a lot of what I've already done. You know when things coming together perfectly in your head? Sometimes when you try to add things together, it's difficult to see how it can really work. But with this, straightaway, I could see it. It's super early days. At some point, we'll have something to show. I think people are going to love it and they'll definitely see the Conker in there. 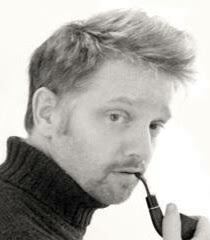 "We are going to satirise the games industry a bit, so watch out. I might upset some people. But that's fine." 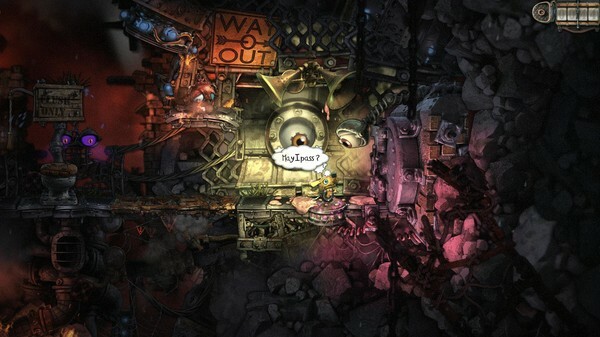 The game's development is not predicated on the success of Rusty Pup, either. Even so, Seavor says if Rusty proves popular, it will allow him to team-up with some former friends. "Depending how much money we make out of Rusty over the next year, that will feed into what we can do with aspects of the next game," Seavor explains. "As an example, we could bring in guest musicians. I've already asked Grant [Kirkhope, former Rare composer] about a section of the game that I think would fit him perfectly. That's the kind of thinking in terms of how we spend our money. "But the overall cost will be what it is. I do all the graphics, Shawn does all the code, we have another coder who comes in to help out... that's it." It's clear Seavor and Pile are very much in the early creative stages. During our chat, Seavor discussed numerous ideas for the project -- from gameplay and tone, to release model. However, unlike other spiritual successors (including Yooka-Laylee), Seavor has no interest in going down the crowdfunding route. "I don't really like Kickstarters. I think they're open to abuse. Not everyone, obviously. It can work really well for some. And I'm sure we'd get a good response and get a chunk of money. But then you're committed to a particular mould. There will be expectations from the audience. You have less creative freedom. You are tied to a release date and a series of stretch goals. I don't like worrying about when things need doing by and what people want. I just want to worry about creating." Seavor talks animatedly about what he wants to make. Even if he didn't say it (repeatedly), it's clear that if he could have it his way, he wouldn't be chasing journalists. Or worrying about release dates. Or preparing social media posts. So would he consider working with a publisher that could handle all that? "I said when we started that if we need an office then we need to stop doing this. That is not who we are. We use Slack every day, and we made [Rusty Pup] with that." "Possibly. I don't know. Kind-of the reason why I'm doing this is to not have a publisher," Seavor says. "But at the same time, when it comes to promotional stuff... it's not something I relish. I let Shawn do all that. He has to see all the horrible comments. I just don't want to know. It can be a harrowing experience. "The main thing with a publisher is that they will deal with all of that stuff that we don't like. And we don't have much success with, either. It is quite difficult to get eyes on stuff. Shawn and I have a bit of a pedigree, so we do get some traction, but we are just a little indie and you do get swept away from all the noise. "If a publisher said to us: 'This Conker thing you're working on, could we have a look?' I am pretty sure we'd be interested to show them. I don't want to speak for Shawn though. He'll know better than me just what that would save us. I'm a bit old school. I'm a curmudgeon. I'm very much like 'Oh I don't know about that'. But I think when we have a demo, if the opportunity arises, we'd like to show some people. "But that's for another day. I need to be sure what we're working on first. I'm pretty confident we'll get there. What I'm not so confident about is my ability to schedule these things. I might say: 'This will be done in eight months'. Then suddenly it's three years later. That's not because we're lazy buggers, but it takes time to get things right." He concludes: "We certainly don't need funding. I know Shawn will come around and say: 'Yes we bloody do' [laughs]. But we're lucky in that respect. Our overheads are so low. I said when we started that if we need an office then we need to stop doing this. That is not who we are. We use Slack every day, and we made [Rusty Pup] with that. "So we don't need an office. I'd rather spend any money on hiring people to do specific things, like a network coder, rather than paying for rent." "with segments that probably wouldn't get through the censors today."